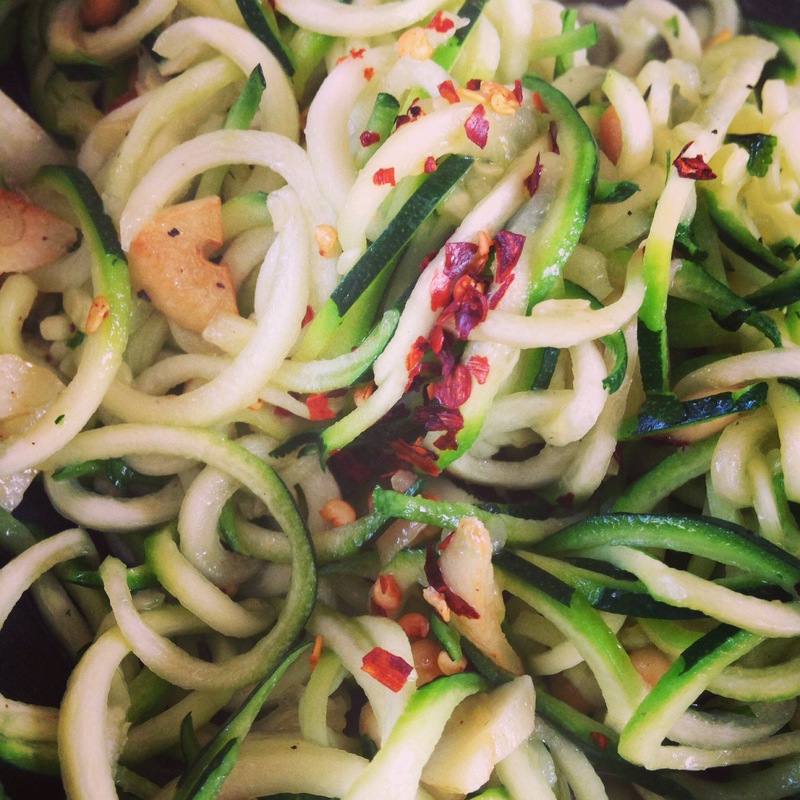 A great quick way to eat raw or almost raw courguettes using a spiralizer. All you need is good quality olive oil, garlic and chilli. Sprinkle some dry chilli and remove the pan from the heat before adding the zoodles to just heat them through. Add salt and freshly ground pepper and serve. This entry was posted in catering, cooking, eating out, food, gym, health, home cooking, kitchen, love, nutrition, raw food, snacks, vegan, vegetarian, world food and tagged food, raw, vegan, zucchini. Bookmark the permalink.